Rates Effective January, 2018(subject to change). We accept cash or USA personal checks, or travelers only. Discounts at 10% – We honor Good Sam and AAA. Discounts at 15% – We honor Veterans, Military, and Escapees. See below for Passport America** & Great RV Escapes** details. ALL Rates are based on a maximum of two people, there is a $2.00 charge for each additional guest. Passport America and Great RV Escapes add $1.00 for each additional guest. 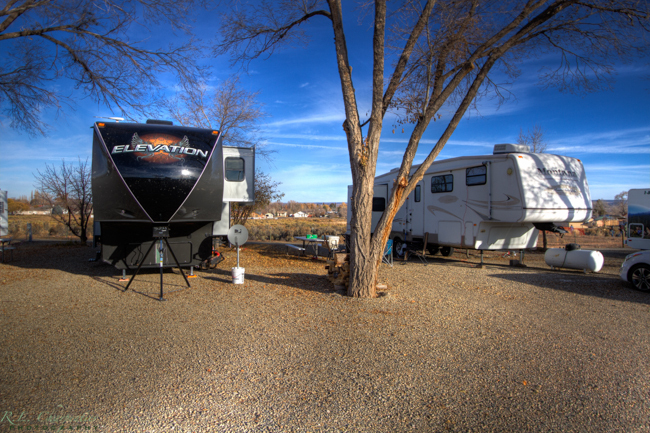 La Mesa RV Park is a Passport Campground! We’re also a Great RV Escape Campground. There are a few things to note when using the discounts. Please read below. **Passport America and Great RV Escapes are limited to 1 discounted night only. Call for price and availability. Not valid with any other discount. Cash only is accepted when using Passport America & Great RV Escapes. Please Note: We are a pet friendly park, but we reserve the right to exclude specific breeds of dogs on our property for the safety and enjoyment of the park for all guests. Additionally, please be certain to maintain control of your pets at all times within our park and clean up after your pets as well. La Mesa RV Park is currently looking for an additional campground host for the 2018 season. If you’d like to spend the 2018 season close to Mesa Verde National Park, 4 Corners, Hovenweep National Monument, and more, get in touch with us to find out about our need for a campground host this year! Please be sure to mention this Internet offer when you call for your reservation!